The Wilmette Institute is opening its 2018 Web Talk series with two scheduled for January. Both are on Sundays, and both begin at 2 p.m. EST (11 a.m. PT, 7 p.m. UK, and 8 p.m. Western European). JoAnn Borovicka will lead off on January 14, talking about “Ten Plagues of the Exodus in the Light of the Bahá’í Writings.” Registration for the talk is now open. demonstrate through the Bahá’í writings how the biblical story of the Exodus is highly relevant today. 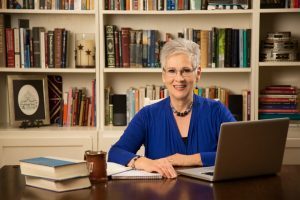 JoAnn began a Bahá’í/Bible research project eighteen years ago to collect questions related to the Bible that were of great interest to Bahá’ís, Christians, Jews, and followers of other religions; to find Bahá’í writings related to the questions; and to make the information easily accessible. In 2016 she published her research as Light of the Kingdom: Biblical Topics in the Bahá’í Writings, a compilation of Bahá’í teachings on biblical topics. It is available from the Bahá’í Distribution Service. New Information on Signing Up for the Carruth Trilogy. If you have already signed up for all three talks, you will need to sign up once again for the first Web Talk but not for Web Talks 2 and 3. If you have not signed up for any of the three talks, you will need to sign up for each talk individually.